There was a day when a roast chicken was the quintessential fast food for a family. High in protein, with low GI and few carbs, all we needed to do was to add a salad and some hamburger buns and we had a fast meal. 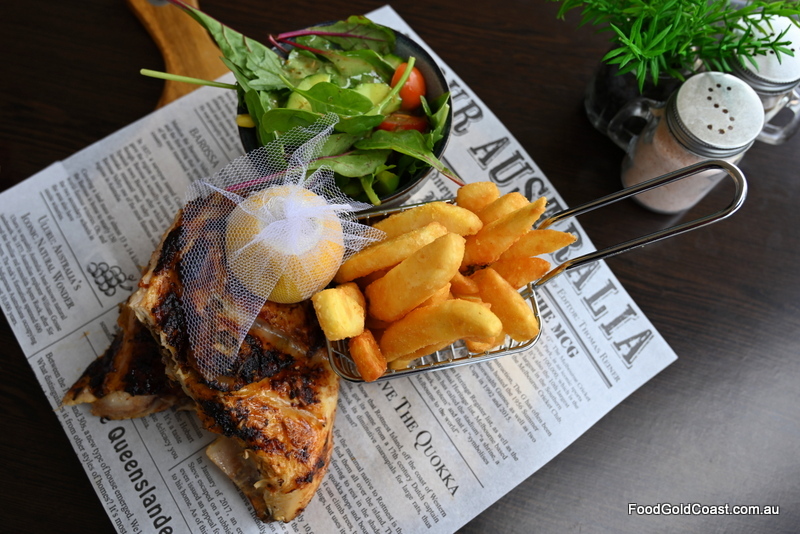 While roast chicken has been under siege as ‘the great Aussie takeaway dinner’ for some years now due to an abundance of choice, the healthier, more sustainable free-range charcoal-grilled chicken has long been an endangered species on the Gold Coast. In fact, there has been no outlet at all that we’re aware of. 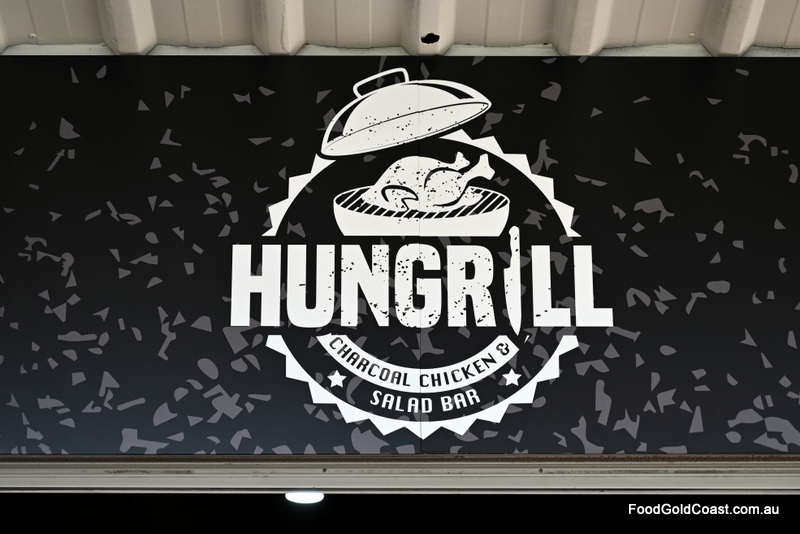 So, we’re delighted to tell you that Hungrill has opened in Paradise Point selling free-range charcoal-grilled Elgin Valley chickens, farmed in the foothills of the Glasshouse Mountains. Owned and operated by Chef Gabor Kovats and his wife Krisztina, the couple have named their little restaurant not only as a play on ‘hungry’ but also as a tribute to their homeland, Hungary. 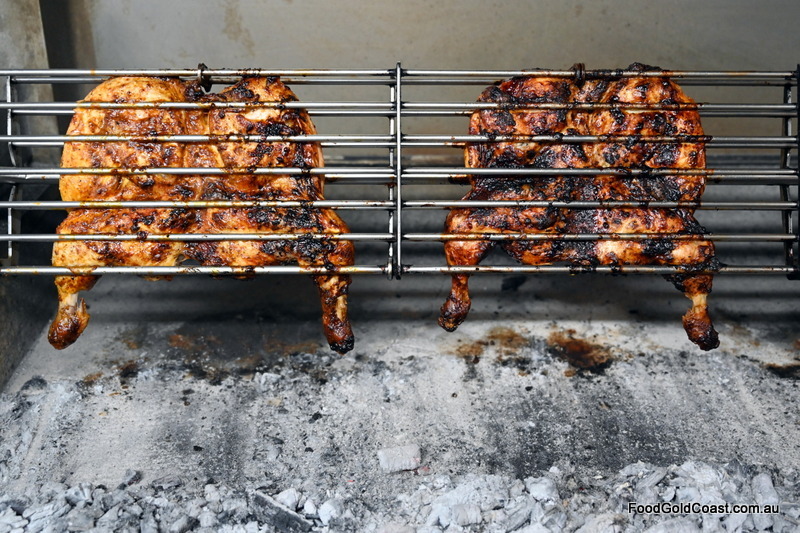 Using Gabor’s secret recipe for marinade, the free-range chickens are basted as they are grilled over coals until done, their flavours boasting of garlic and, of course, smoky paprika, Hungary’s favourite spice. 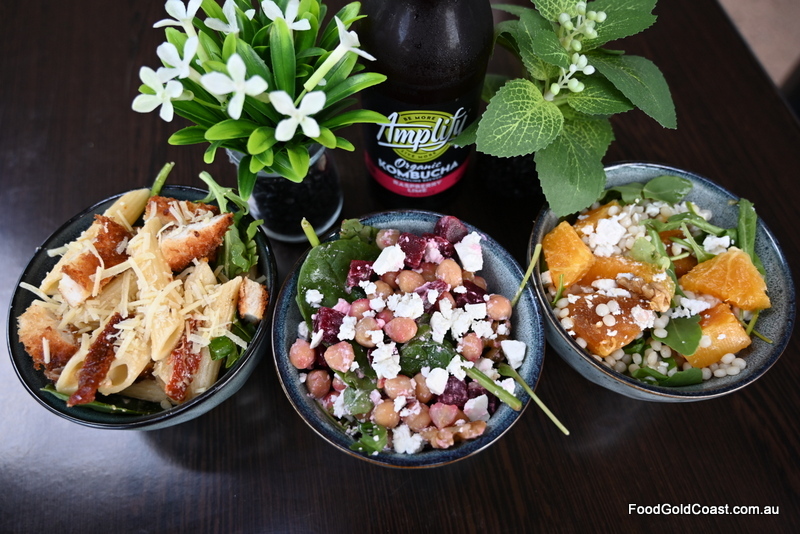 Krisztina makes gluten-free cakes as well as up to ten luscious salads daily, for purchase to take away by the container as well as served on the meals, including Classic Caesar, Greek salad, Chicken pesto pasta salad, and Pumpkin couscous salad. 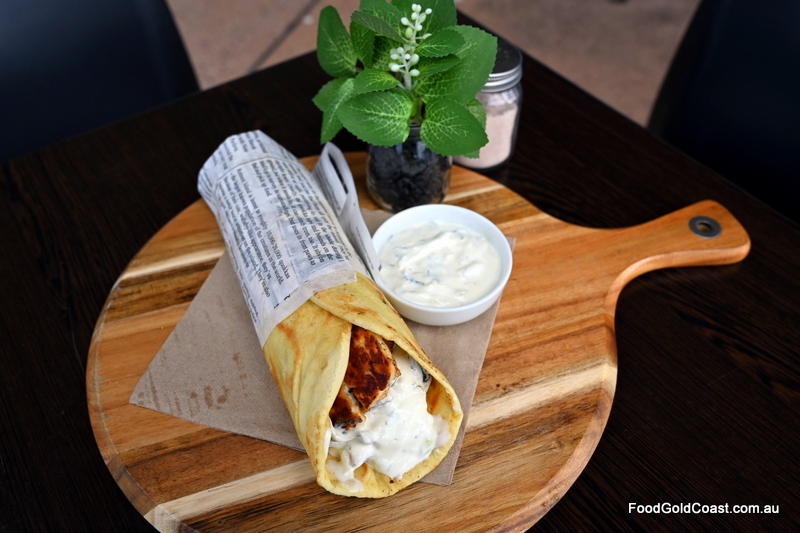 Their range extends to wraps and gyros, roast pork and German-style hot dogs. 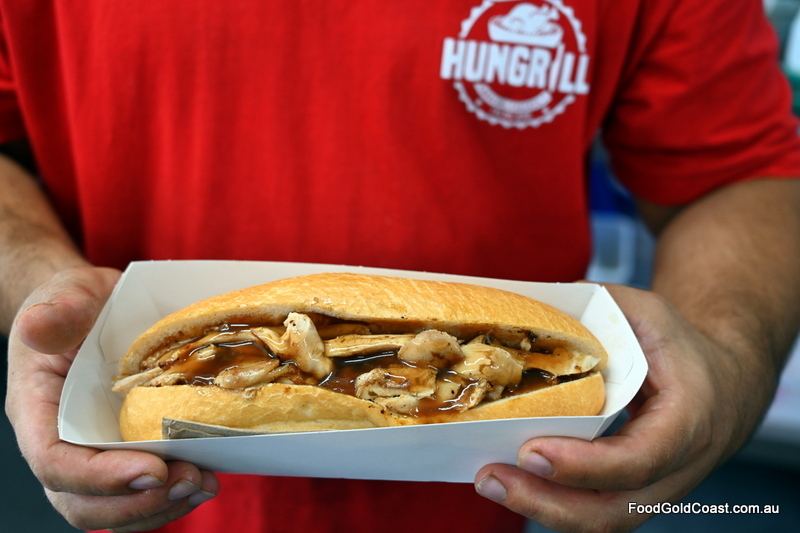 Hungrill runs keenly-priced week day specials such as a Charcoal chicken hot roll with gravy and drink for $7.90 or Gyros for $10.90; very tempting for local business workers. Ring ahead to order a whole free-range charcoal chicken to take away. With a large salad or two, that’s dinner sorted. Healthy as can be! 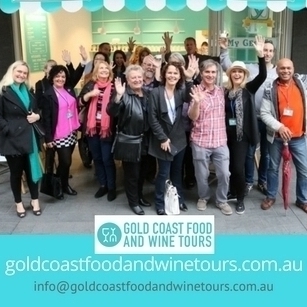 NOTE: Good Food Gold Coast dined as a guest of Hungrill.